Jellyfish off of Salt Cay. You’ll definitely want to try snorkelling during your stay on Salt Cay. The beach and shore sites we list here are good, but a proper snorkelling boat cruise can be amazing when the conditions are good. 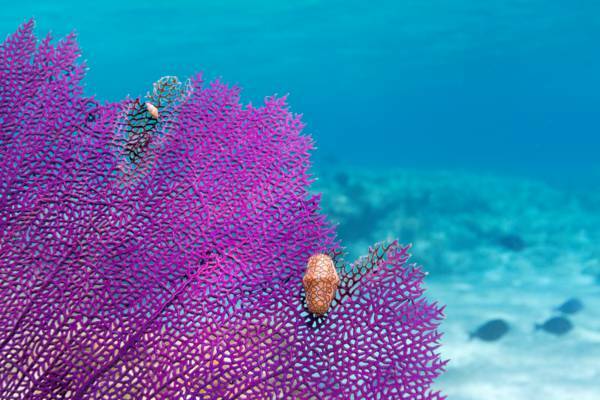 Flamingo Tongue cowrie on a purple sea fan. 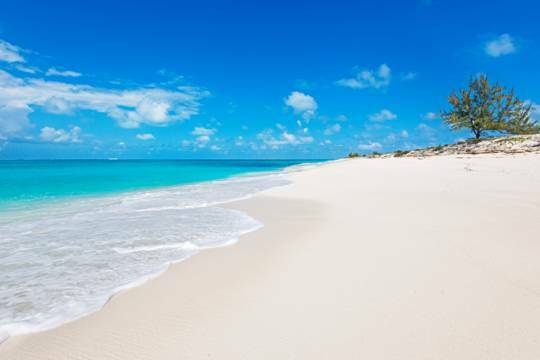 Visibility around Salt Cay tends to be good, especially when compared to the typical conditions at the popular beach snorkelling spots on Providenciales. However, the size and scope of the reefs and coral easily accessible from shore tend to be a bit more limited and if you're certified, scuba diving is a better choice. There is no single best location for beach snorkelling on Salt Cay. The west end of North Bay (North West Point) has vibrant coral and sea life, but ocean conditions aren’t always optimal. The ocean off of Deane's Dock and Balfour Town Beach is typically calm, yet the area isn't quite as colourful. See the locations section below for more information. Chub fish at a shallow reef. A snorkelling boat excursion will allow for access to some of the excellent pristine and extensive reefs found offshore and near adjacent cays. During approximately January through April, it's possible to see and snorkel with migrating humpback whales. Salt Cay Divers is the only business on the island that offers boat trips. Salt Cay Divers rents snorkelling equipment, and some accommodations offer complimentary gear usage. Sales are limited to a few mask sets available at Splash Boutique in Balfour Town. If you’d like to purchase snorkel gear, due to the very small selection of equipment on Salt Cay we recommend that you do so at a dive shop before you arrive on Salt Cay, either on Providenciales or elsewhere. Working with a decent dive shop will allow you to get the best fitting gear that your budget allows for. Below are the best locations for snorkelling from the beach on Salt Cay. 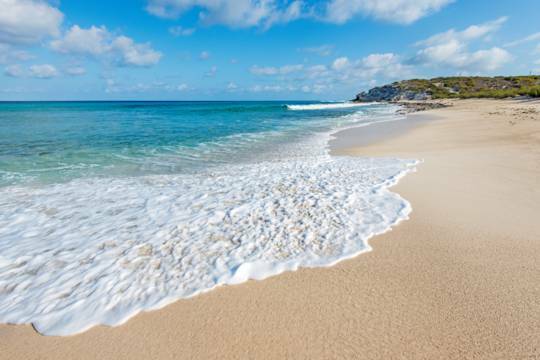 The beautiful North Bay Beach offers the best snorkelling close to the shore on Salt Cay. Quite a few small reefs can be found in varying distances off the beach, but the far northwestern and northeastern ends have the highest density of coral. Simply look for the dark patches and explore. 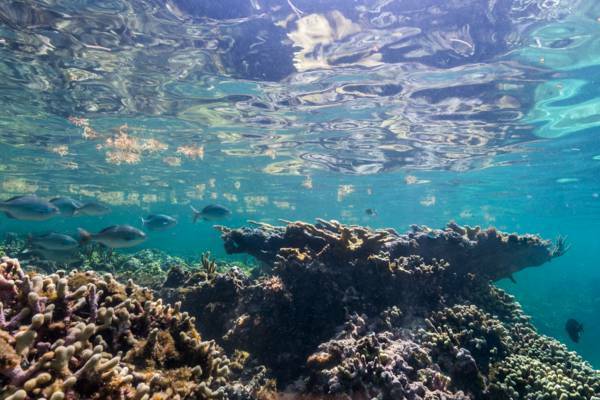 Interesting snorkelling can be found of the easily accessible Balfour Town Beach and Deane’s Dock, however the coral isn’t quite as vibrant as at some other spots. 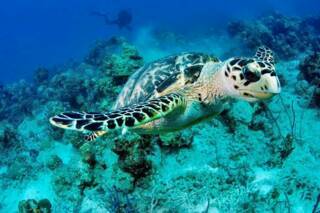 You should however see plenty of colorful reef fish and may also sight a stingray or eagle ray. This area is typically sheltered and calm. 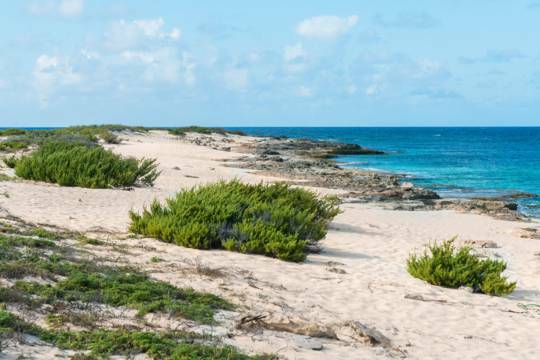 The remote and far southern point of Salt Cay has fascinating spur and grove formations in some spots, but the snorkeling quality in the general area is highly dependent on ocean conditions. It’s worth checking this area out if the weather is calm and your schedule allows. Beware of currents. Don't snorkel on your own. Be aware of currents and don't venture far from shore. Don’t heavily coat yourself with sun screen or other lotions before snorkeling. Don’t attempt to feed any marine life.